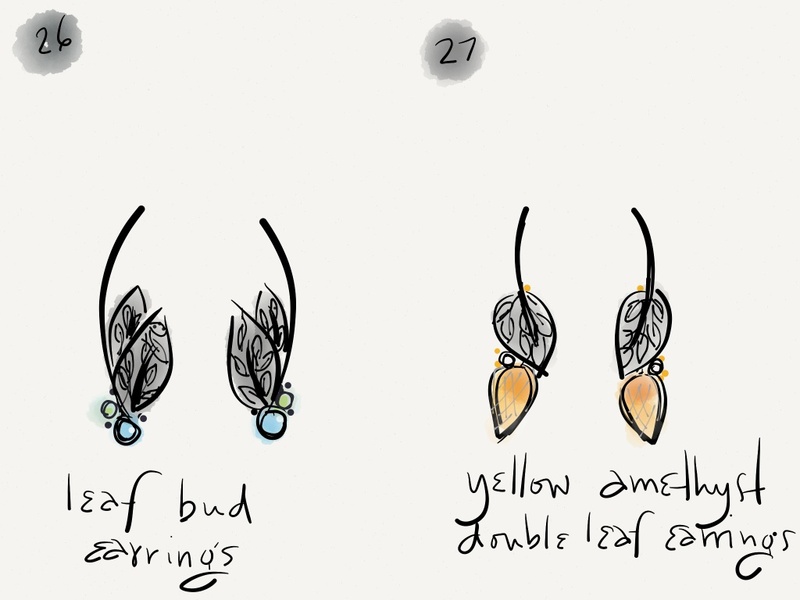 This morning I finished the Periodot Leaf Bud earrings that have been sitting on my bench for literally months. These earrings started off as modifications of sketches I made on my iPad when I was exploring this new leaf series. 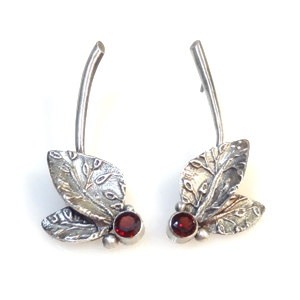 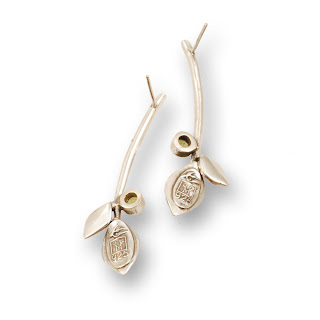 All these designs incorporate the leaf-on-leaf design from my early double leaf earrings, a favorite of mine. 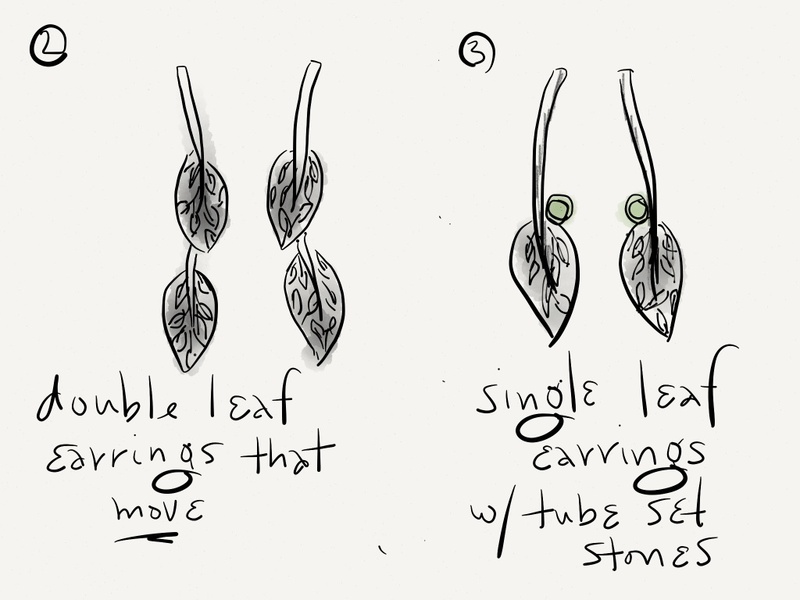 Early in the process I drew single leaf earrings with tube set stones, since I'm really drawn to more color in my work. 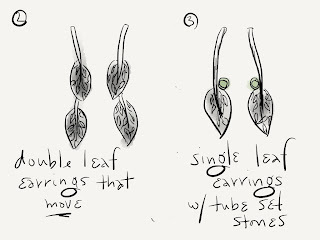 Then I drew double leaf earrings with stone "buds." 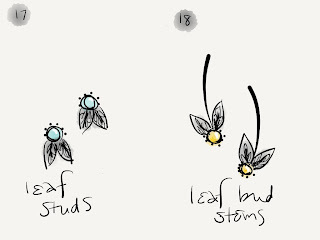 The leaves are all small and similar sized. Then I got the idea to mix up the leaf sizes, which led to the Garnet Leaf Earrings, made at about the same time as the Peridot Leaf Bud earrings. 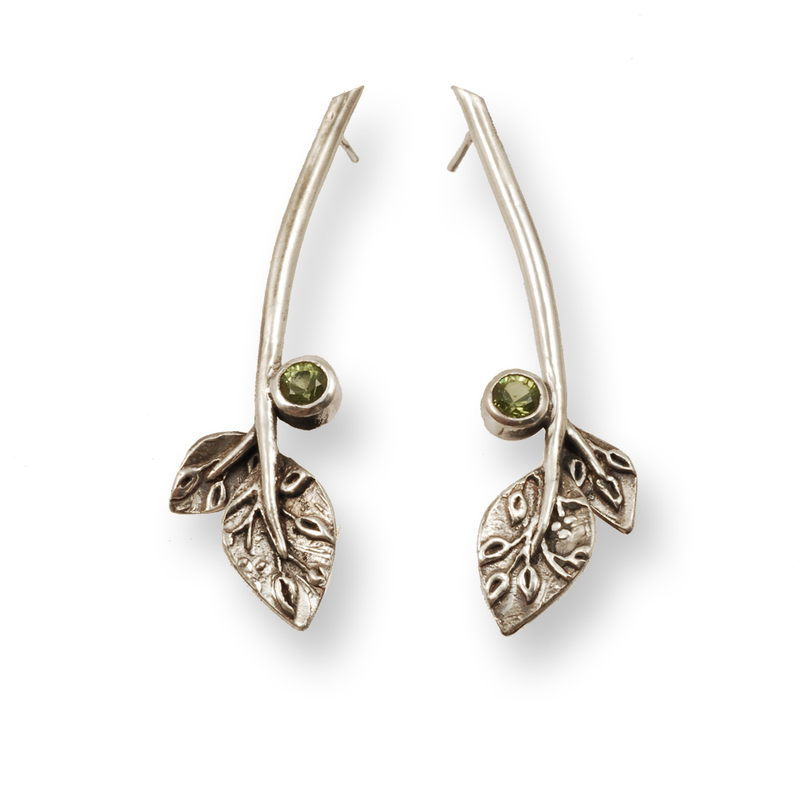 Those earrings went through the convoluted casting learning process, while the peridot version languished on my bench waiting for their own attention. Since green is my favorite color and a staple in my wardrobe, these may become my new "go to" for regular wear.